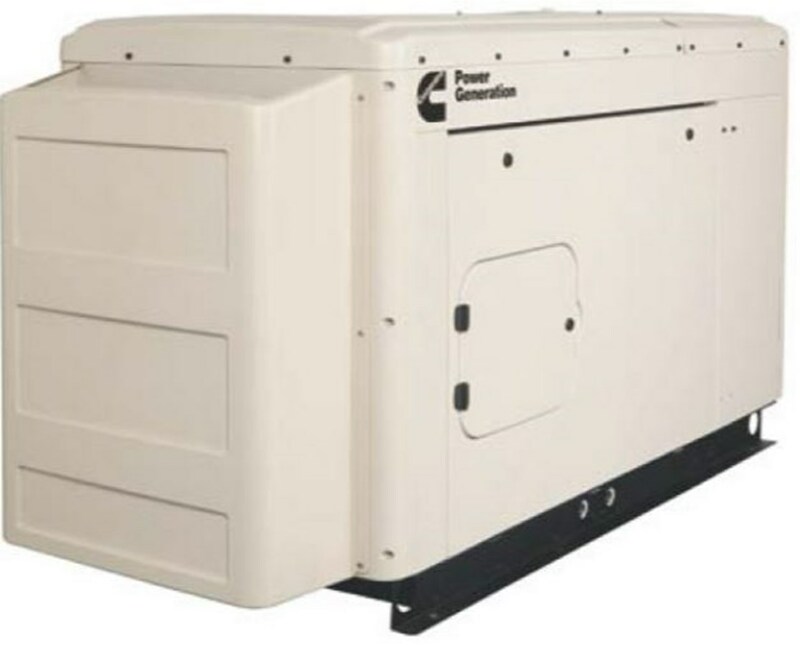 Equipped with 2400 cc engine, the Cummins Quiet Connect RS Series 22-40kW Standby Generator is a reliable source of power for medium to large homes. It runs at 22,000 to 40,000 watts both on natural or propane gas with a voltage of 120/240 single phase to 277/480 three phase. The engine has a 12V automatic starting system and runs a 5-ton A/C under full preload. It features a liquid-cooled cooling system with extremely quiet operation up to 60 to 64-decibel rating at 23 feet with a Sandstone Sound Level 1 enclosure and muffler. It has 1,800 RPM designed to provide reliability and fuel efficiency. 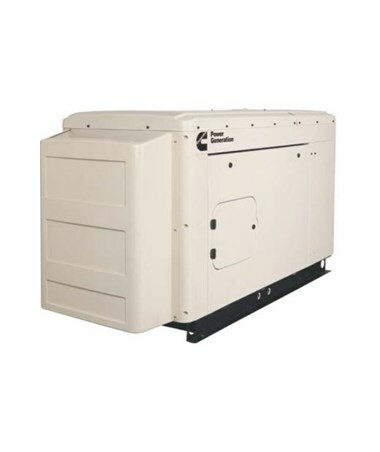 This Cummins Quiet Connect RS Series Standby Generator can operate under severe conditions including extremely cold weather. It has an aluminum enclosure plus durable powder coating paint that can withstand winds up to 180 MPH. It also has a removable panel and service door for easy access during maintenance. This generator boasts its PowerCommand control with 128 x 64 backlit LED that provides self-diagnostic capabilities, frequency and voltage regulation, and more. It also has flexible exercise mode which can be customized for homeowner's preferences. In addition, this Cummins Quiet Connect RS Series Standby Generator requires the Cummins RA Series Single-Phase Automatic Transfer Switch. This standby generator also meets UL 2000 standards, EPA emissions, IBC Seismic and NFPA110 capable. Please Note: Models that run 36,000 to 40,000 watts will not be shipped to California. The Cummins Quiet Connect RS Series 22-40kW Standby Generator is available in 17 models with different running power and voltage. Please select your preference from the drop-down menu above.